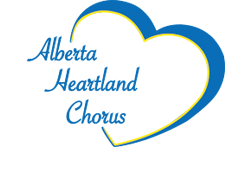 Alberta Heartland Chorus is performing at the Legislature Building as part of their "Celebrate the Season" event. It's a perfect way to get into the Christmas spirit. Singing at the 'Leg' is an annual event for the chorus, one we love to do. There is something about all those lights, the hot chocolate, even the frigid temperatures that just speaks to us. Come and join us. Enjoy the sounds of four part harmony soaring through out provincial capital building. We would love to see you.